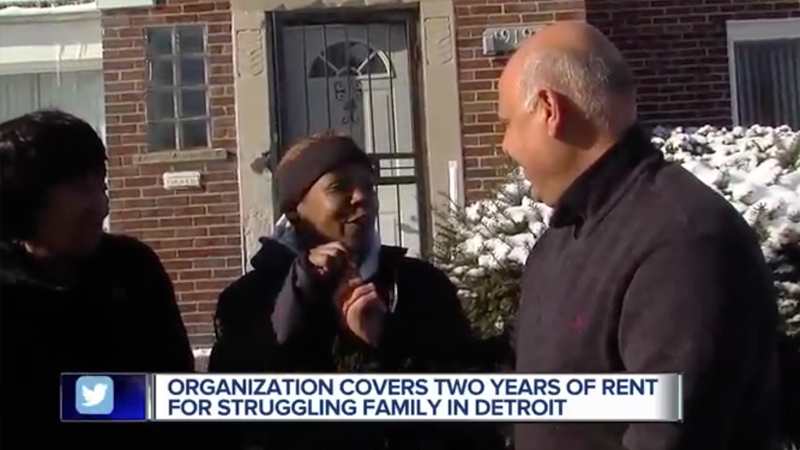 Tracey Dunbar and her five children, including a daughter with special needs, will be sleeping in their new home tonight thanks to the Detroit Rescue Mission. The nonprofit organization heard about Dunbar and her children being homeless from Detroit City Council President Brenda Jones. The family lost the last home they were living in because, despite working at a local store, Dunbar could not keep up with the rent and had to move in with a relative. Dunbar and her children will be able to live in their new home on Detroit’s west side without paying rent for two years. During that time, the hope is that Dunbar will be able to save enough money to buy a home of her own. Click on the video to see Dunbar and her new children walking into their new home for the first time.